We left Jimmy and Lulu behind at 40J and flew south (see SNF Leg 1 post), maneuvering just east of the Tampa class bravo per the NOTAM. 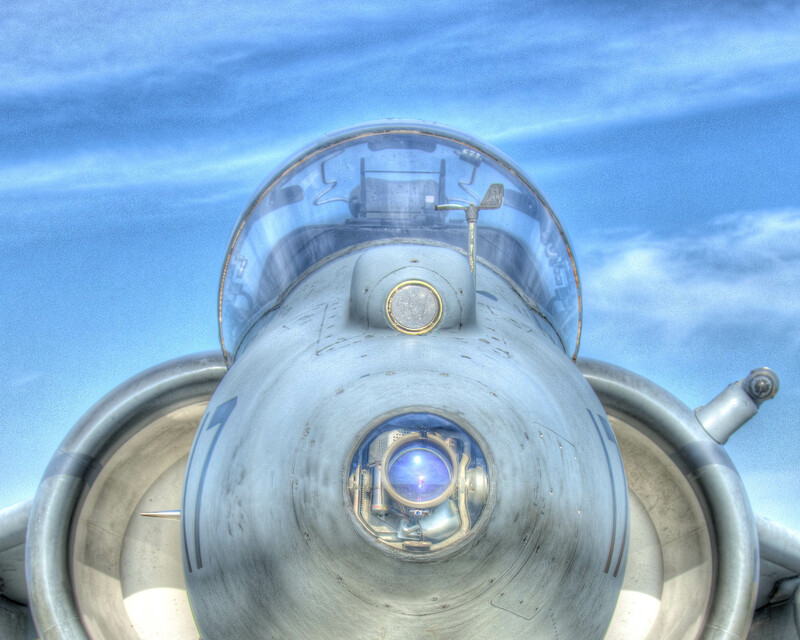 About 60 miles north of Lakeland, the Zaon PCAS started talking to us… “TRAFFIC” she blared. As expected, the airspace is getting crowded with other planes headed to the same place we were and several headed north from KLAL. The good news was that everyone seamed to be at the proper altitudes and doing what they were supposed to be doing. We tuned the approach frequency and descended to the approach altitude and started trying to get in the “congo line”. Our first attempt to get in line put us behind a Piper Cub at about 75 knots that didn’t seem to be headed in the correct direction. This was a little slow for us, so we looped around and got back in line, this time behind a nice twin at a 100 knots… perfect! Then we hear the magic words: “Red and white RV over the power plant, rock your wings… looks good, follow the twin to 27R and welcome to Sun-N-Fun”. Homebuilt Camping - The Place to be! We have arrived… once on the ground, we taxi’d to homebuilt camping and began the process of unloading and setting up the tent. This area is away from the other camping areas and we were worried about where the showers were and other amenities, then we met Mary Jane! Mary Jane was like the den mother to the most awesome group of volunteers anyone could ask for. We were treated like royalty; there was cold water, sandwiches, a nice large tent for shelter and an invite for dinner every night! We even had a group of pilot musicians on Saturday night come entertain us. Homebuilt camping is the place to be! The show… while not as big as Airventure, SNF had plenty to offer rabid aviation nuts like us. Most of the aerobatic performances we have seen dozens of times and they do get a little boring, but I never get tired of seeing the Thunderbirds turn tax payer purchased Jet A into noise… it just never gets old to me. The night airshow was beautiful as usual and we were able to take it in from the comfort of our chairs at the tent. The vendor booths seemed to be busy with lots of folks standing around anything with an iPad attached to it or the letters ADS-B associated with it. Overall SNF was great, the weather was perfect, only a few passing showers, the cool temperatures at night made it easy to sleep and the new friendships we made will bring us back again. 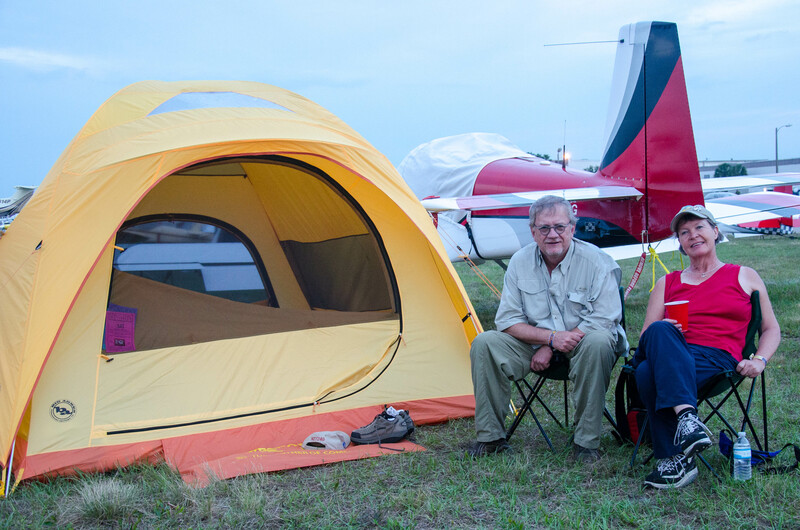 I have already heard from our tent neighbors, Chuck from Oregon, who flew down with his friend Ron in a beautiful Lancair (and we thought we had a long cross country). We also ran into old friends from Mississippi who managed to slum their way down in a King Air for the day on Thursday. Once again, our many thanks go out to Mary Jane and crew for their help and hospitality and we hope to see you all again next year. And, if you’re interested in seeing more posts about our travels in aviation, please enter your e-mail address in the box on the upper right labeled “Follow Blog via E-Mail”. 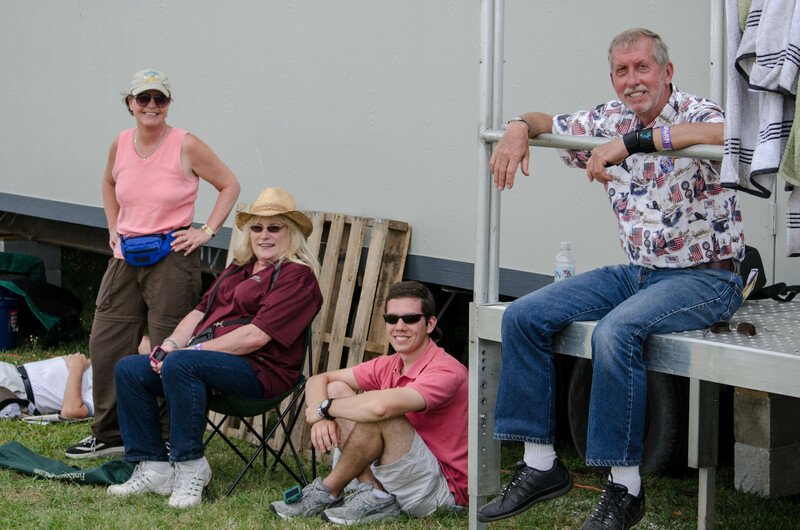 Sun-N-Fun 2012 – Leg 1 – Perry-Foley Airport (40J) – Lulu & Crew! Our first long cross country… was to be Sun-N-Fun 2011. We had “Caddie”, our RV-9A, packed to max gross with tent, sleeping bags and clothes for the six day trip. As we were following the weather before we left M16 (now KJVW) for the 3 1/2 hour flight to KLAL, we heard about some really bad weather there. I pulled out my iPhone and went to twitter and searched #SNF – WOW, a tornado on the ground, planes destroyed, a few folks hurt – hmmm, I think we’ll go a different direction – Arkansas, to tent camp on the white river… we’ll cover more about our love of Arkansas later. Fast forward to 2012… the weather looks good, “Caddie” is packed to max gross again and we are finally off to SNF 2012. We leave Raymond, MS (KJVW) on Wednesday afternoon enroute to the Perry-Foley Airport (40J) in the Florida panhandle to stop for the night. “Why are we stopping there?”, Beth asked. “Well gas is cheap and they have a crew car we can use overnight and it will only be an hour or so into Lakeland on Thursday morning”, I replied. “Great, where are we staying?” she asked… “ahhmm, the American Best Value Inn”, I said. “It was $49 a night for a queen bed, but I splurged for the $52 king room”. The room ended up not being too bad and was a good value for the money. When we got checked in, I checked my Trip Advisor app for a local restaurant. I was in the mood for seafood and we were in Florida. We ended up at a small seafood place called Deal’s Famous Oyster House. The parking lot was packed, that was a good sign. Well, we decided this is where the locals eat since it was packed and the food was great.